Today is another edition of Modern Revolution. In Guilds of Ravnica, the biggest missed calls for me were 《Arclight Phoenix》 and 《Crackling Drake》. I clearly underrated the power of 《Arclight Phoenix》. 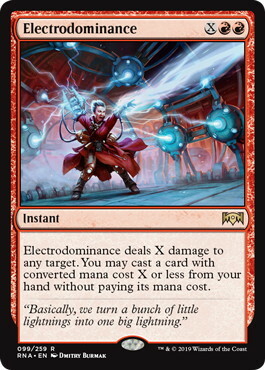 Returning a 3/2 haste body at zero cost is simply one of the best things you can do in Modern. I thought it may be not consistent enough to do so but it turns out the possibility of the nut draw simply beats out the downsides. 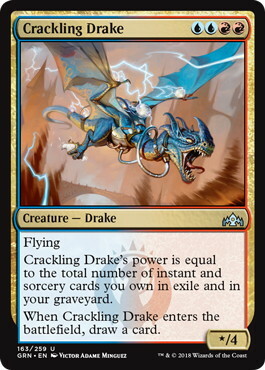 As for 《Crackling Drake》, it is the best sideboard card for a graveyard deck against any graveyard hate. 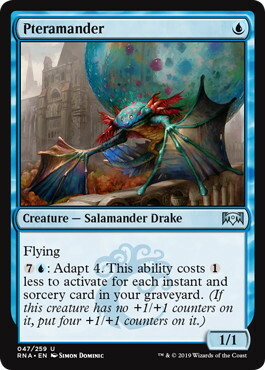 The fact it cannot be hated out by 《Rest in Peace》 or 《Leyline of the Void》 makes 《Crackling Drake》 strong even though it is a 4 mana card without much immediate impact. 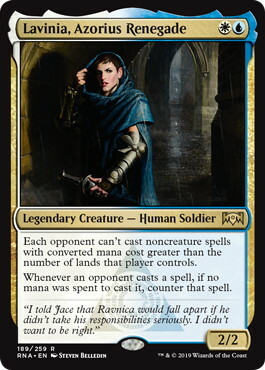 So lesson learnt, and today I am going to go through Ravnica Allegiance and check out the best Modern playable cards in the set. Being a Human is a big upside for 《Tithe Taker》. It could be a easy sideboard hate against decks operating at instant speed. When we combine it with 《Thalia, Guardian of Thraben》, it could tax our opponents enough that they become unable to cast anything at all during your turn. 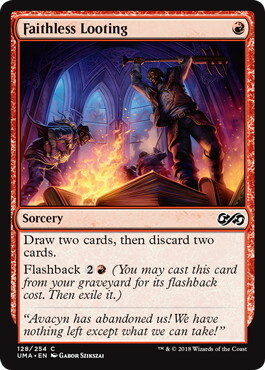 Please note that 《Tithe Taker》 is not a legendary, which means you can double the power by cloning it with 《Phantasmal Image》 and also get extra value from Afterlife even when the 《Image》 is sacrificed on being targeted. Do we need another 《Delver of Secrets》 in the format? While 《Delver of Secrets》 has not really shown its power in Modern yet, it is based on the fact that the countermagic is not good enough and we cannot rely on a single small threat to take over a game on its own. With 《Pteramander》, you can double up the number of similar threats, I think the possibility of overloading opponent’s removal is higher now. Also, 5/5 is a size that survives a lot of removals right now. 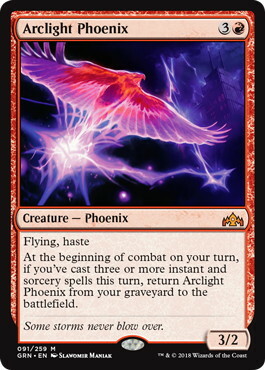 I think 《Pteramander》 could also show up in some graveyard strategy that put lots of spells into graveyard fast like 《Arclight Phoenix》. 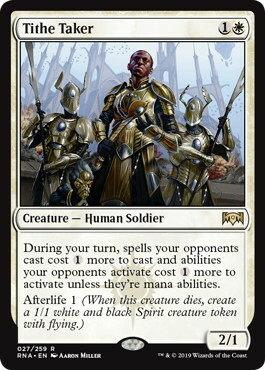 You play the 1/1 body for cheap and Adapt it at the end of their turn to make use of the mana efficiently. This is the play pattern I would certainly love to see when I was playing the game at instant speed. I am extremely interested at casting it at X=0 and casting 《Living End》 or 《Ancestral Vision》. Mono Blue Living End was established with 《As Foretold》 was printed but the over reliance on 《As Foretold》 makes the deck a little bit less reliable. Once again, we see the power of doubling up the enabler and very likely we will see a more consistent build to abuse synergy between different cards. 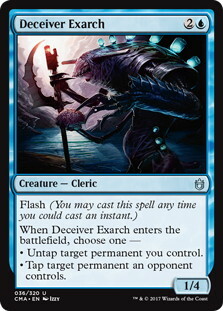 Imagine Turn 1 《Faithless Looting》 discarding 《Kiki-Jiki, Mirror Breaker》 and 《Deceiver Exarch》 into 《Electrodominance》 plus 《Living End》. Welcome to Modern, where turn two kill happens. 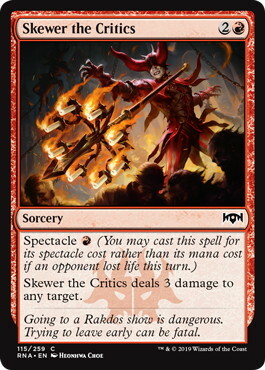 I am talking about these twin Spectacle spells together as they suit the Burn deck the best. 《Lava Spike》 happened to be the easiest way to enable these cards. It has been a while since Burn got a major upgrade like this. 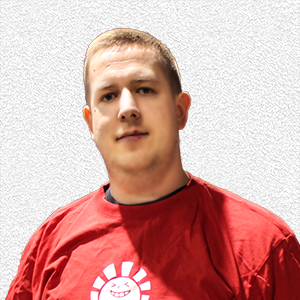 Most of the time the deck is simply waiting for the metagame to shift to its advantage. So now we got 《Thoughtcast》 and 《Chain Lightning》 for the Burn deck. Are we going to see a comeback where Burn to claim back its tier one position? 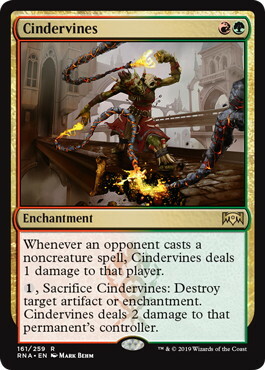 《Cindervines》 is very typical sideboard hate. Modern is filled with a lot of decks rely on cantrips to hold consistency intact and 《Cindervines》 is a good way to punish them. It also served as an artifact or enchantment hates. 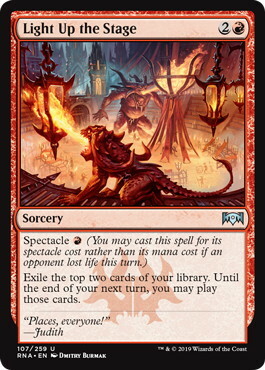 The question is “Does upside of being not 100% dead in your hand covered the downside of being a 3 mana 《Destructive Revelry》?”. This is a question we need time to tell us. Instant speed mana ramp is huge. 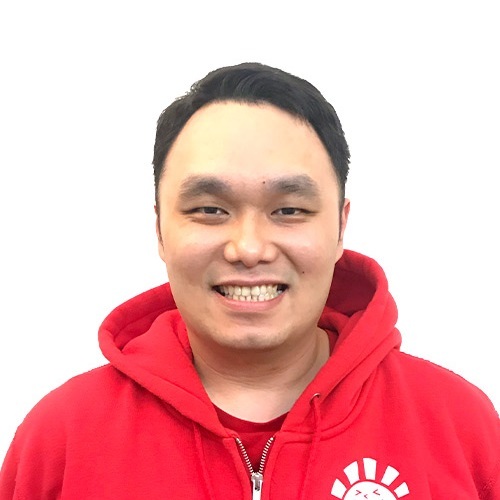 Imagine the play pattern of either running into 《Remand》 or you just let your opponent ramp up. 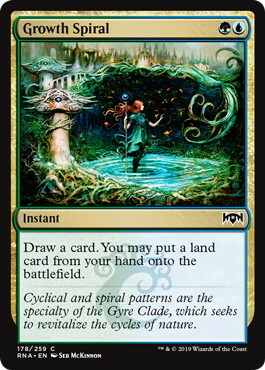 I believe 《Growth Spiral》 is a great addition to Temur Scapeshift which is one of my pet decks although it has failed to keep up with the power level in the format recently. I hope 《Growth Spiral》 can put the deck back into the metagame. Can be found by 《Militia Bugler》? Check. Has an impact on the battlefield? Check. 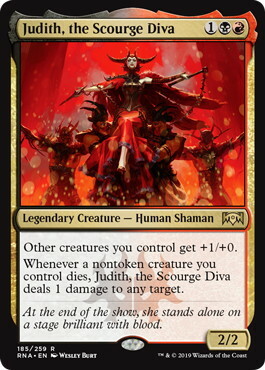 《Judith, the Scourge Diva》 will be a major upgrade to Five-Color Humans. The ability to provide extra reach gives Humans another angle of attack where you would be able to beat most sweepers. Could that mean 《Cartel Aristocrat》 might actually have a chance to show up in the format? So you have 《Meddling Mage》 blocking 《Oblivion Stone》; now you have a second one and you aren’t sure if you should be naming 《Karn Liberated》 or 《Ugin, the Spirit Dragon》? 《Lavinia》 can stop them all! 《Lavinia》 is not only a sideboard card in Legacy or Vintage, it works in Modern as well! 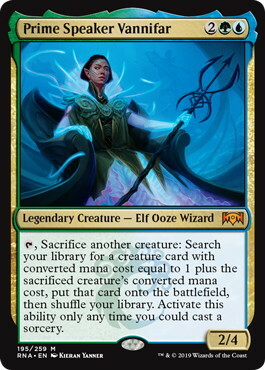 She could also stop a turn 3 《Collected Company》 or 《Chord of Calling》 as well when your opponent casts a turn 2 《Devoted Druid》. Sometimes you just need a third turn to cast your trusty 《Reflector Mage》. 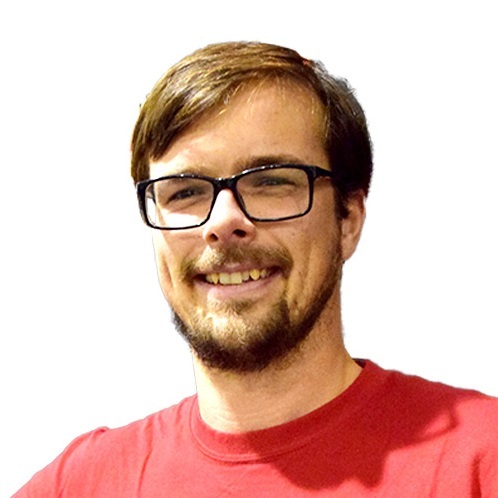 I believe Sam Pardee wrote a great article about how to go off with almost any creature in play. 《Birthing Pod》 is banned in Modern and 《Prime Speaker Vannifar》 would not do less once she gets passed summoning sickness. If you are able to give her haste, it could be even harder to stop the combo. Speaking of giving haste to creatures, 《Rhythm of the Wild》 gave any creature based combo deck a huge boost. An uncounterable haste 《Prime Speaker Vannifar》 or 《Devoted Druid》 can threaten kills out of nowhere. 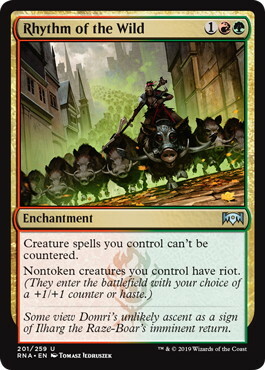 The +1/+1 side of Riot could make Persist creatures come back forever. With 《Rhythm of the Wild》 in play, we can suspend 《Greater Gargadon》 to go off with 《Kitchen Finks》 or 《Murderous Redcap》 in a way that counterspells or spot removal cannot be able to interact with the combo at all. There are quite lots of cards that have potential in Modern. 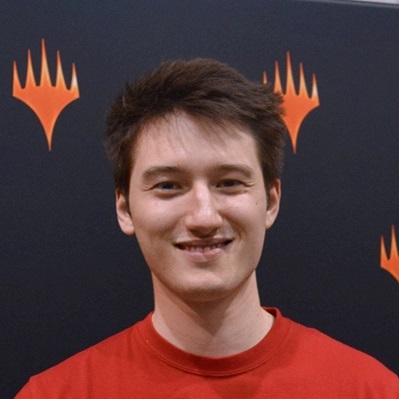 I believe Burn will be the deck to beat in the short term as the upgrade is pretty big. 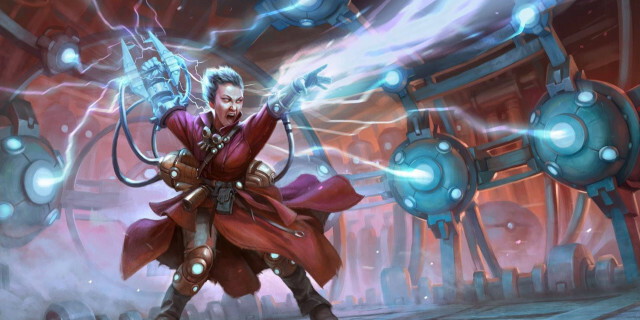 Humans and Izzet spell-based decks would continue to be big. As for newcomers, I think 《Prime Speaker Vannifar》 and 《Electrodominance》 could definitely make an appearance. With KCI banned in the latest B&R announcement, Modern is heading into a huge era of change with one of the most consistent and resilient combo decks gone in the format. I hope we can see an even more diverse format. 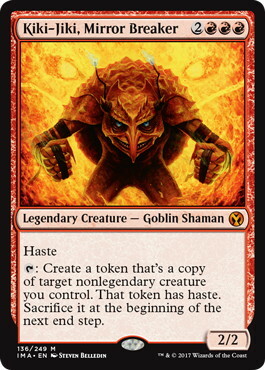 Ravnica Allegiance Brings a lot of New Toys to Standard Players!